The week had been long, and you waited for Friday to arrive in a week that seemed like it went by slower than any other you could remember. You and your friends planned a night out on the town; a few drinks to help leave the stress of the week behind. The night was full of fun and your favorite beer. The bar closed and you were voted the most sober to drive. Now, as you see the lights flashing in your rearview mirror you ask yourself why you did not just call a taxi for a safe ride home. Flash forward to you handcuffed sitting in the back seat of a police car. “What am I going to do now? People drink everyday of every week, in every month of the year. The hope is that most drink responsibly and make it home safely, grab a hotel room for the night or stay at a friend’s house. Then there are those described above who find themselves in a whole lot of legal trouble and in the turmoil of a long battle. Suddenly they have problems in their life they never expected. 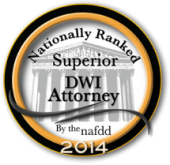 How can a DUI/DWI affect your life? How bad can it be? Sure, the fines and legal fees will hit your finances hard; everyone knows to expect that. You may think you can just “ride it out” and you tell yourself, “I’ve learned my lesson and will never do drink and drive again.” It may even cross your mind that you will keep it quiet and not tell anyone; but the chances are someone will see it in the local newspaper. How else can being arrested on the suspicion of driving while intoxicated impact your life? Your child’s school could have a no tolerance policy – you may no longer be allowed to coach the baseball team. Lights are flashing and you are told to step out of your car for a sobriety test. The officer puts you through a variety of tests – walking a straight line, saying the abc’s backwards, standing on one foot and counting to 10, a preliminary breath test (PBT) – you fail these and are placed under arrest for suspicion of driving under the influence of alcohol – DWI. What are the alcohol consumption legal limits in Minnesota? If you are under 21-years of age there is a zero tolerance blood alcohol content (BAC); for anyone 21-years or older, .08% BAC. And, if you refuse a to take a chemical test, the “implied consent” law mandates automatic license suspension and you are subject to a fine. A first drunk driving conviction results in your driver’s license being suspended for a 90-days minimum. 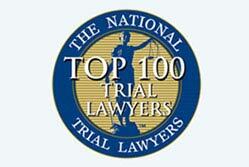 Pleading guilty to DUI/DWI can get the length reduced to 30 days. Interlock Ignition Device (IID**) required if there is a prior DWI within 10 years. If within 10-years of a first DUI/DWI conviction, revocation of your driver’s license occurs for 360 days and you will not be able to obtain a work permit. License Suspension for possibly 3 years. Treatment and rehabilitation attendance usually required. License Revocation from 3 to 6 years. 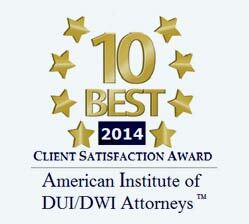 If you have a fourth DUI/DWI conviction within a ten-year period, you may be charged with a felony. Revocation of driver’s license for up to 6 years. Treatment and rehabilitation attendance ordered – must show proof of abstinence/ compliance with the Ignition Interlock. *Disclaimer: Laws and their interpretations and applications often change, state jurisdictions may enforce laws differently; the possible fines and penalties could change as well. 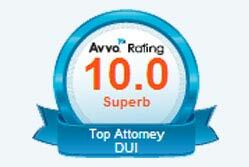 For these reasons, we recommend seeking legal advice from an experienced DWI attorney. **Interlock Ignition Device (IID) – In 2010, Minnesota law went into effect requiring for anyone convicted of a DUI/DWI to have restricted driving privileges, they must agree to the installation of an IID. If a IID is refused driving rights will be prohibited with the “no-driving policy” in effect from 12 months up to 6-years depending on the case. The best and only way to prevent the traumatic affect a DUI/DWI can have on your life is not to drink alcohol and get behind the wheel of a car. Plan ahead when you know you will be drinking and make arrangements for a DD (designated driver) or to call a cab. Give your keys to a responsible friend, or make plans to stay over at a friend’s house until the next day when you are safe to drive. 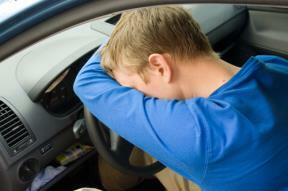 How a DUI/DWI can impact your life, or others is not worth the risk. Advance planning to stay safe is the smart choice.